September 22, 2012 at 4:57 AM ET - Want to try something a little bit different for Fall and Halloween? 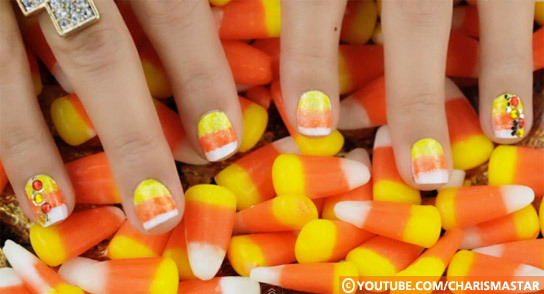 Try these candy corn nails by Charis Lincoln for Charisma Star TV. Essence Nail Art Special Effect! Topper in "Night in Vegas"